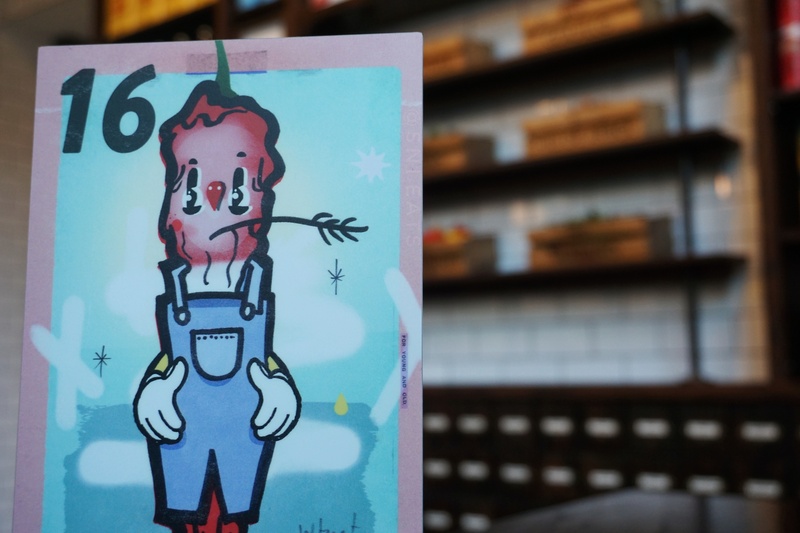 In tradition with all my blog posts, I visited Wilbur twice to ensure that what I felt of the place will stay true. 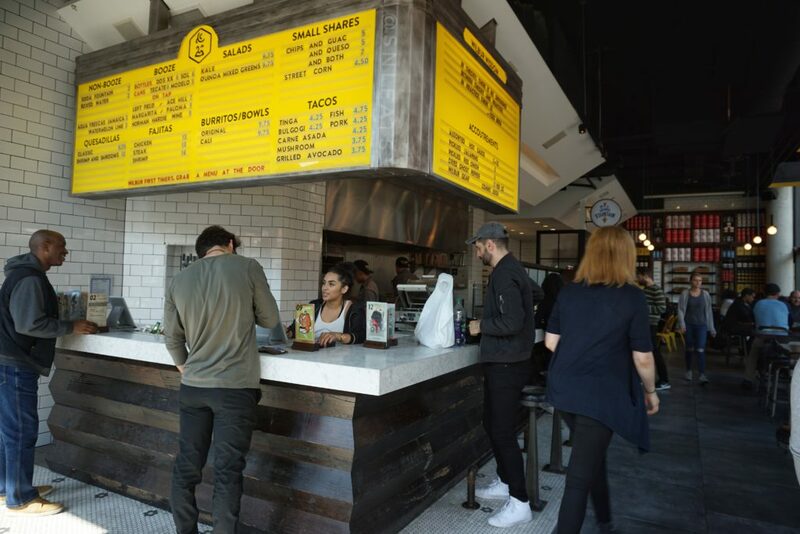 The food was consistency great and the environment/atmosphere was superb both times; this probably explains how I manage to have so many food photos. 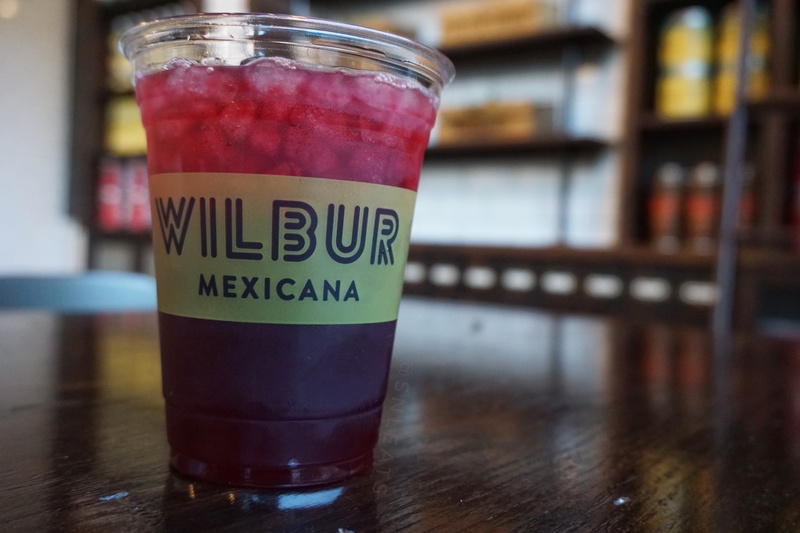 In addition to alcoholic drinks and self serve fountain drinks, Wilbur also serves more traditional like Mexican drinks. 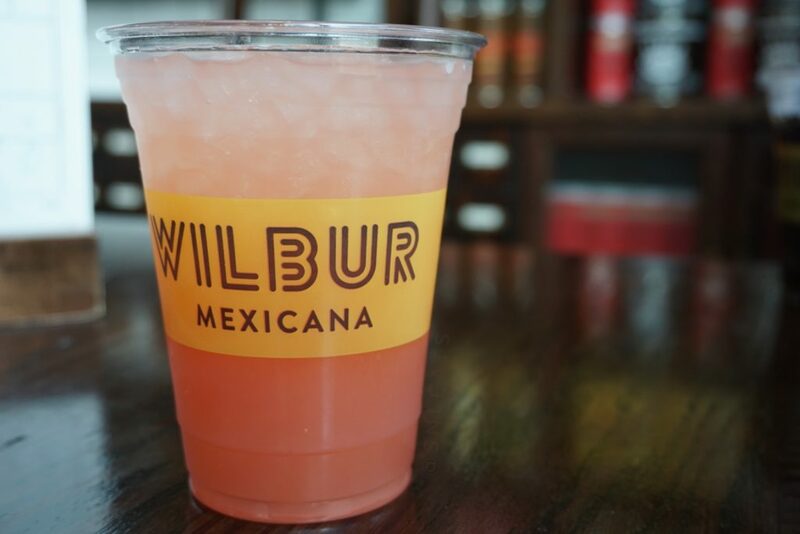 Aguas Fresca comes in different varieties and takes; Wilbur has a few that they rotate through and currently they have the Jamaica (iced hibiscus tea) and Watermelon Lime. Both drinks were super refreshing and definitely different than anything else I’ve ever tried. THIS CORN IS AMAZING. I’ve always heard of this treat but have never had the opportunity to try one! 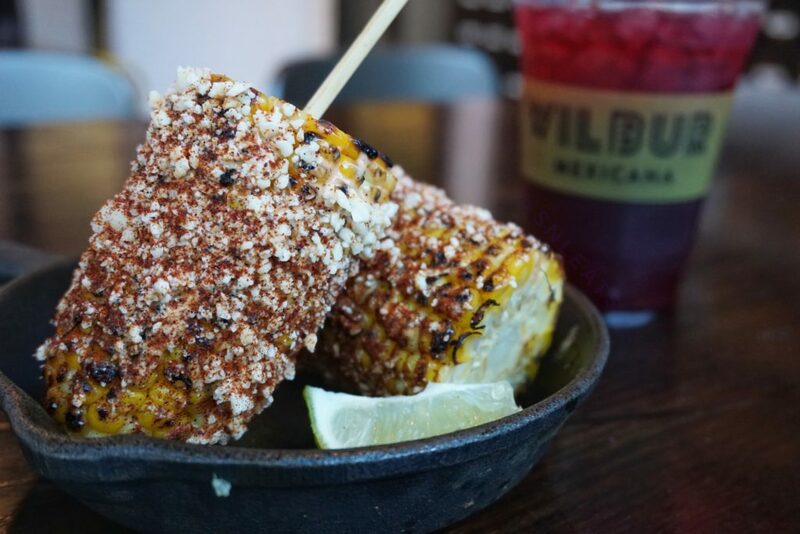 Although I am unsure if this follows a traditional elote, this one that Wilbur offers is jam packed with flavour and heat but also offers a refreshing feeling from the grilled corn and cotija (Mexican cheese). Just having one corn was super filling but yet it’s super difficult to even want to share the other one. These tacos were delicious! 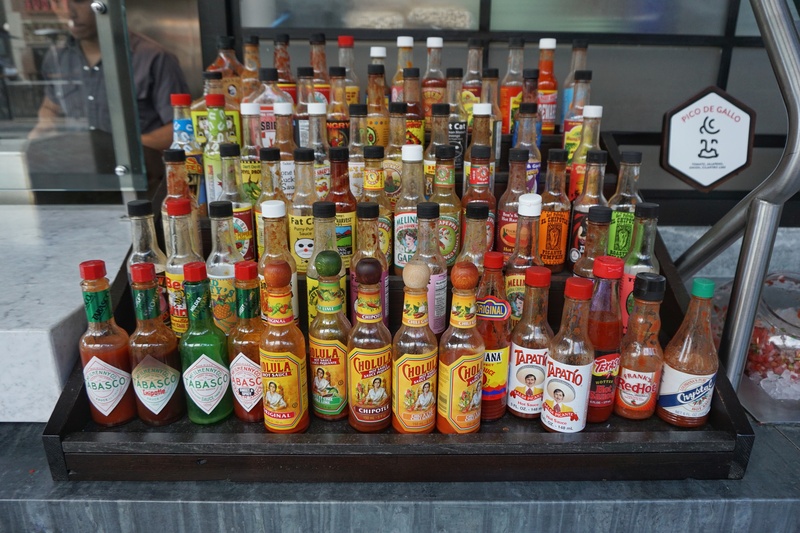 Although they may not seem like much, all of them contained so much flavour, the right amount of heat (if applicable) and have just the perfect amount of protein and toppings for them to be fairly substantial. 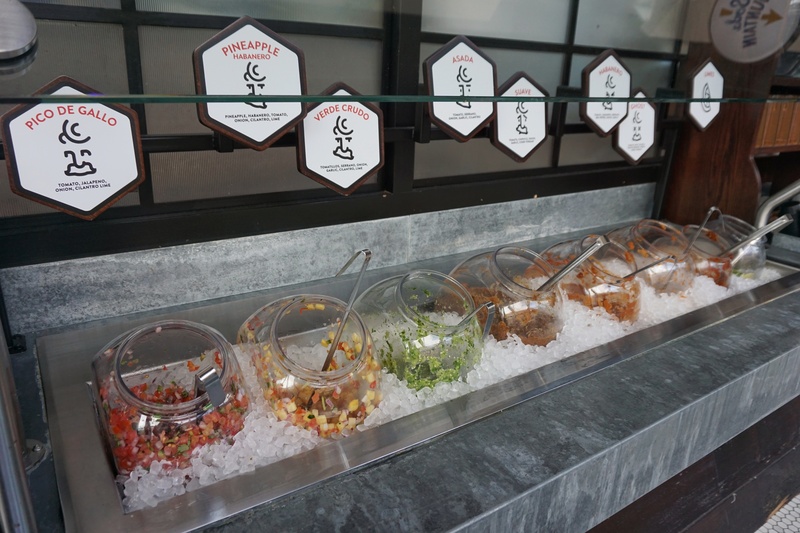 My favourites are definitely the Baja Fish, Bulgogi and Carne Asada. I am always a sucker for seafood and if it’s deep fried, then that’s a huge bonus. Their beer battered mahi-mahi is perfectly crisp, not oily and the batter is just the right amount for the fish to still be able to shine. 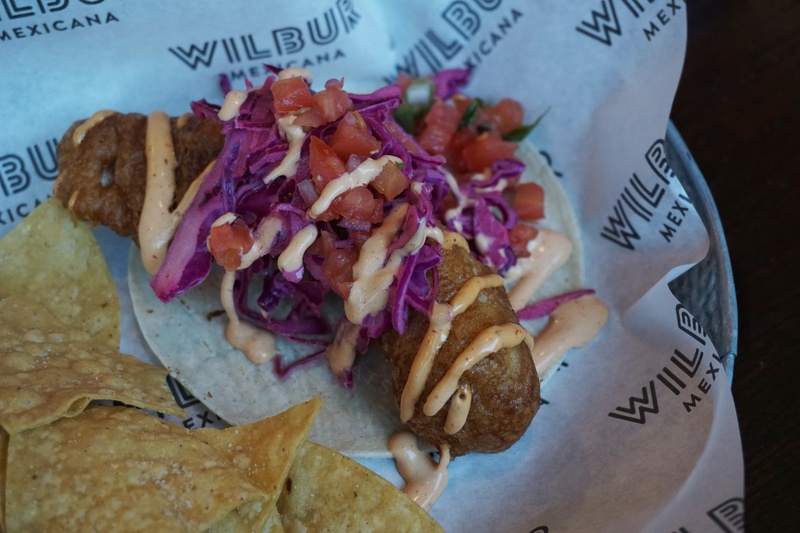 This is a nice simple taco that still brings the flavour from the heat of the chipotle crema but along with the cooling sensation of the pico de gallo. 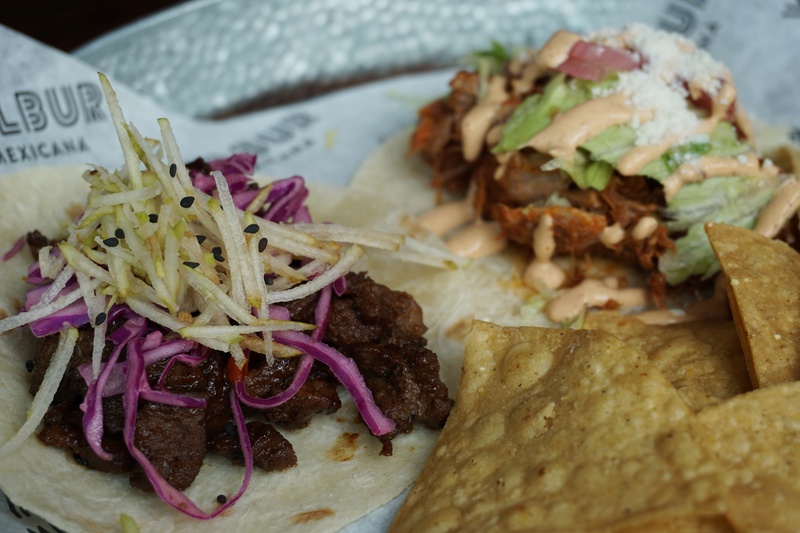 The Bulgogi is when Korean food meets Mexican food; you get the Korean heat mixed in with the Mexican flavours to provide the perfect combo. Although on the hotter side, you just cannot stop eating it because of how much flavour they managed to pack into this along with the refreshing cabbage and pear to help cut the heat a touch. Oh Carne Asada! I can never say no to steak (well, majority of the time) so when I saw this I just had to try it. 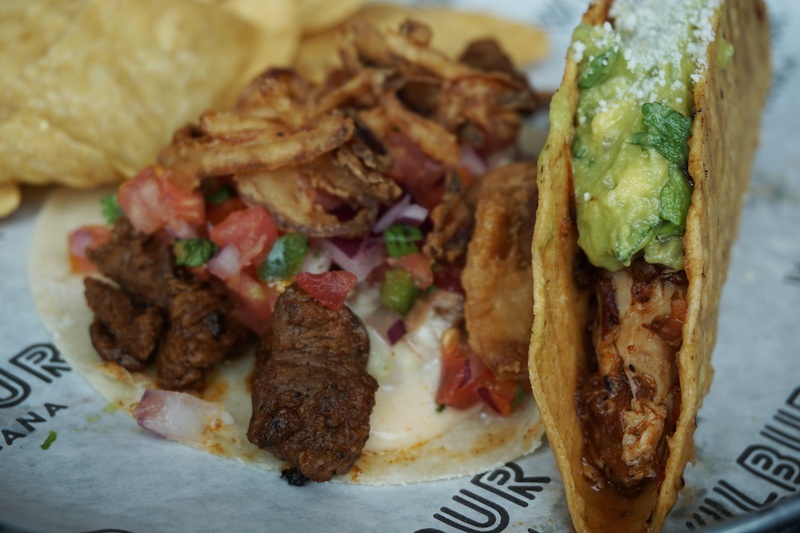 The crispy onions gave the taco a nice crunch texture to compliment the super tender steak chunks and creamy queso fundido (melted cheese). I could probably eat a few more of these just for the ultimate combination of texture and flavour. I am not much of a burrito person but I just knew that I had to give this one a try. Man oh man, this burrito is massive and is full of both the toppings and my protein choice. You can also see that the burrito is wrapped pretty nicely that you would be able to get a bit of everything in each bite you take. 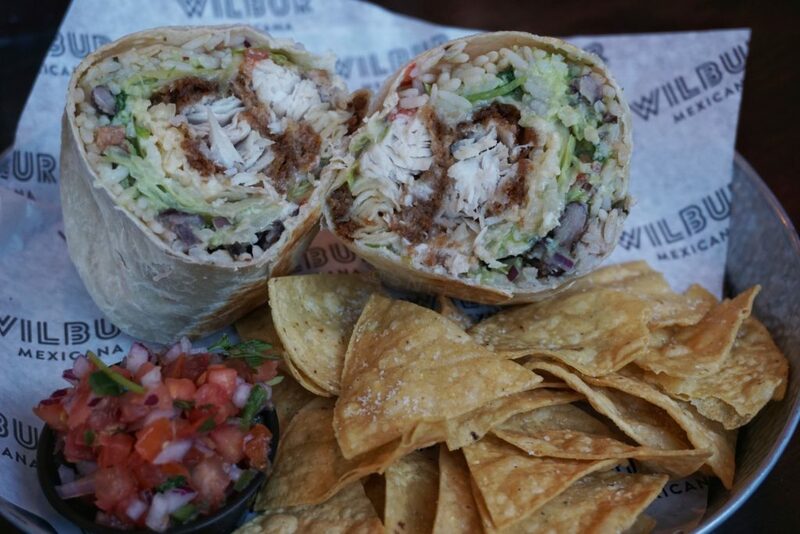 Best of all, the burrito was wrapped tightly so it made it that much easier to eat and enjoy! SELF SERVE SALSA AND HOT SAUCE?! 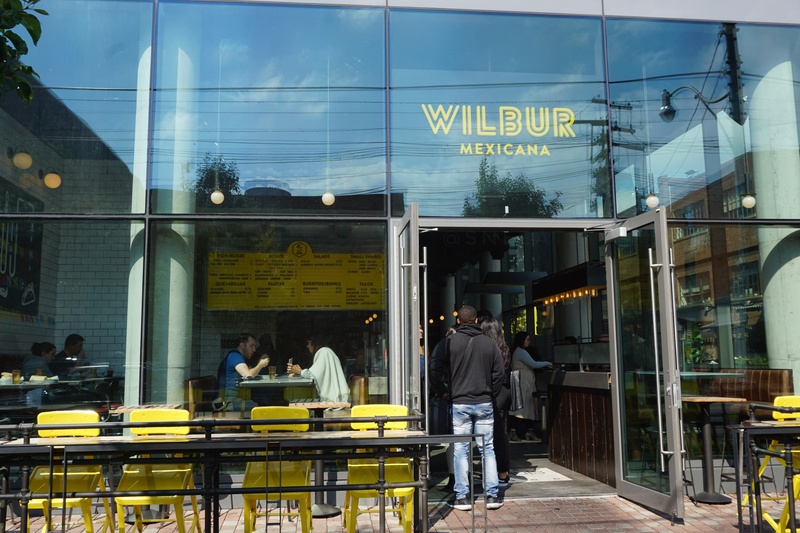 Wilbur Mexicana is a place to just chill, relax, and stuff your face with simple Mexican style dishes. Whether you’re out with a group prior to clubbing in the area, or are looking for somewhere to just chill out, I can bet you that Wilbur will be that spot for you!